Can you imagine how excited i am when i am able to unlock one of the Japan places in my bucket list? I have wanted for a long time to go Shiragawa-go, but no one interested in this as they all thought it is a boring trip. Yeah~ compare to Tokyo/ Osaka these kind of happening city, Shiragawa-go is definitely boring. But i adore this beautiful landscape, i keep nagging my friends for few years and finally, i got 3 travel buddies go with me! Shirakawago (白川郷) in Gifu prefecture has declared a UNESCO world heritage site, famous for the traditional Gassho-zukuri farmhouses (constructed like hands in prayer), some of which are more than 250 years old. 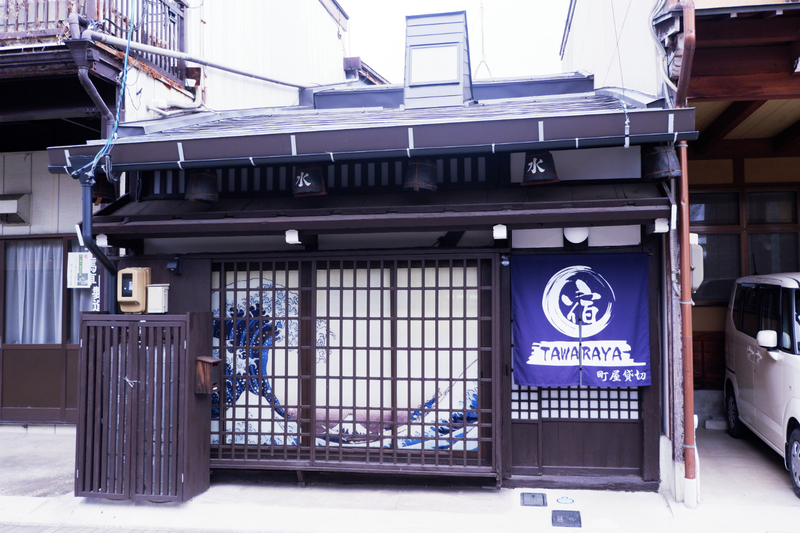 It is one of top popular sightseeing destinations in Central Japan as well as Takayama and Kanazawa. Even though Shirakawago is beautifully shows different scenery all through the year, but Winter is the best time to see Shirakawa-go. The architectural is designed to withstand the large amounts of heavy snow, the magical scenery of snow laid house is such a real fairy tale! This photo is non-edited, original color beautiful like a water color artwork! No airlines flying direct from Malaysia to Nagoya, we stuck in between of choosing ANA or Thai Airways. 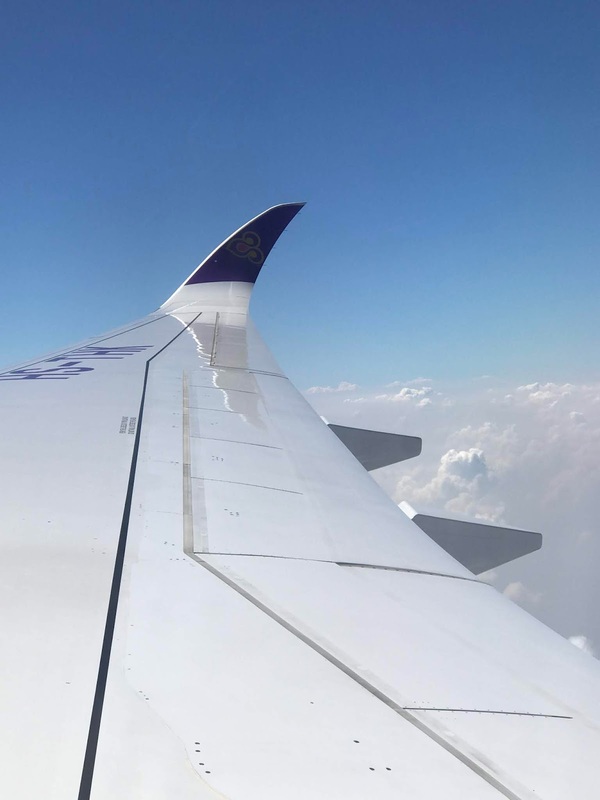 End up, we choose Thai Airways because shorter connection time from Bangkok to Nagoya. I don't know why the airfares is much more expensive than Tokyo or Osaka, it is RM1600+ for a morning flight to Nagoya and midnight flight back from Nagoya. I don't think it is a good idea to choose midnight flight when coming back, we have to check out and leave luggage at hotel at 12pm, then do some shopping nearby our hotel so we don't need to travel so far to pick up our luggage. We reached airport at 7.30pm then we find out all shops in Nagoya Chubu Centrair International Airport is closed at 9pm sharp. We don't have other place or restaurant to go but just wait our flight check in at 10pm. We were so tired since we almost no slept of the midnight flight from Nagoya to Bangkok. 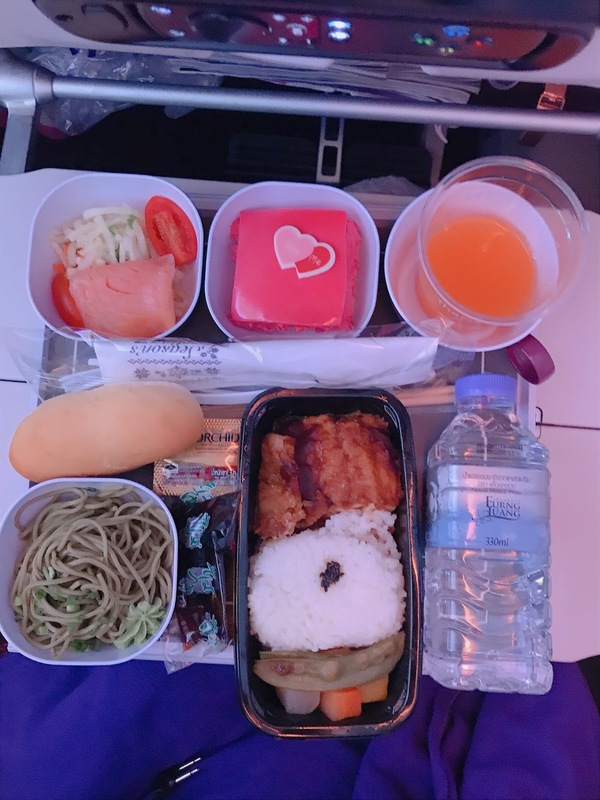 Anyway, we had a good meal on flight. One of the most important things while traveling abroad is a pocket WiFi. I don't buy SIM cards as i need to connect my iPad as well. Especially if you're planning a trip to Japan, renting a pocket WiFi is definately a great way to stay connected during your travels to keep you connected on the road. To me, it is very important because i need this to check map and translate our language to Japanese while we need to ask help or order from Japanese. Among many brands i tried in the market, i choose Travel Recommends because it is 4G truly unlimited and can be shared with up to 5 users/devices at once, fastest speed and zero latency! Seriously, it was still in 4G signal even though i get in to mountain area Shiragawa-go. Now, they have offer for Japan at RM8.40 per day only! Literally this is a 6D5N because we took late night flight from Nagoya to Malaysia. 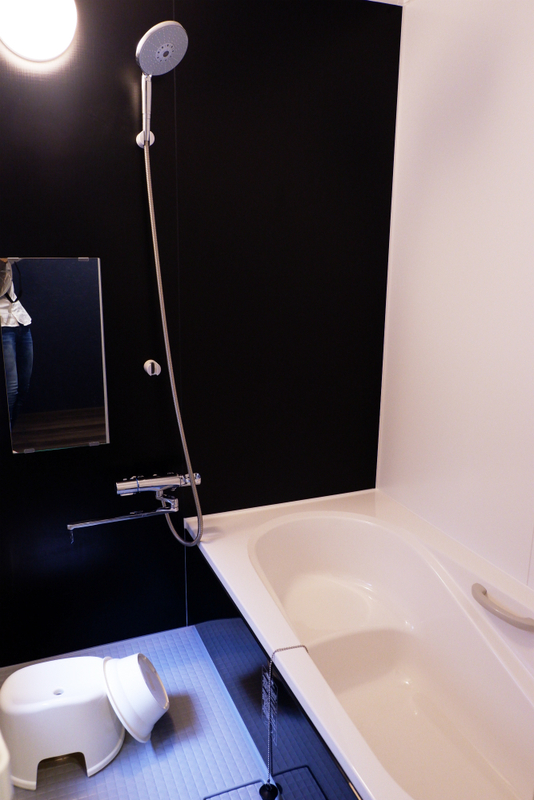 After a tiring long flight, we settled down at hotel which is the nearest to train station, Nagoya Ekimae Montblanc Hotel. 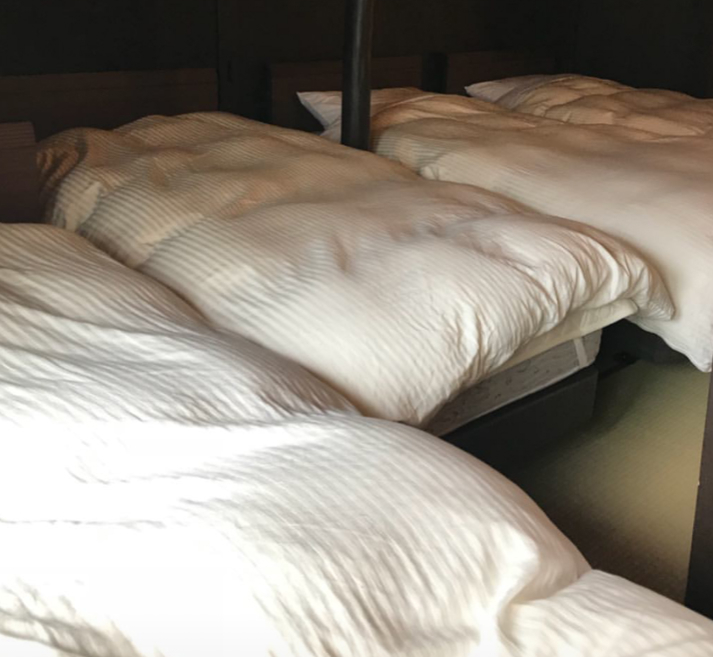 This hotel is the cheapest also, but don't expect a spacious room because you are really difficult to find a hotel with cheapest price, superb great location and spacious LOL! 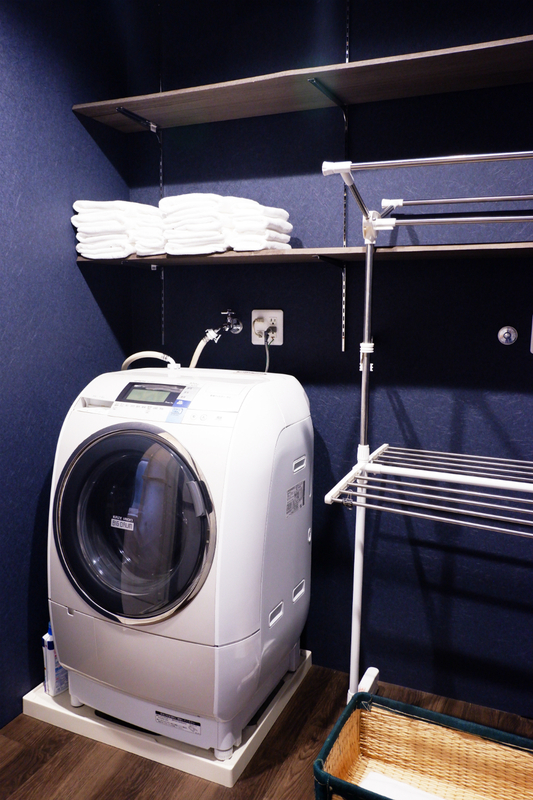 It is considered the smallest room i stayed in Japan. When we put our 28" big luggage in the room, we can't walk anymore hahaha! 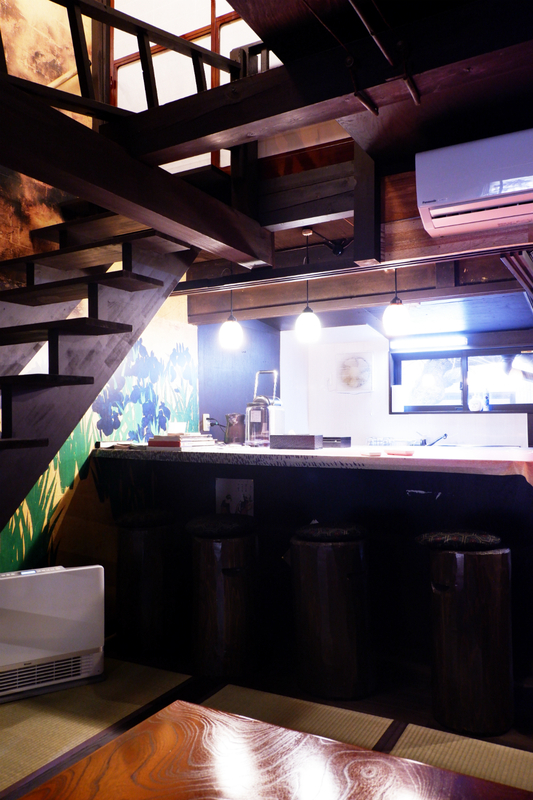 But it was quite cozy, we don't mind to sleep in this tiny room while the rate is only RM535 for 2 rooms 1 night. 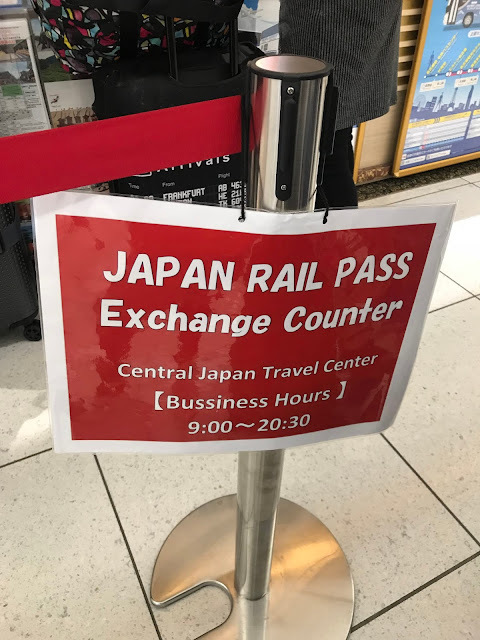 Travel within Central Japan ain't that difficult as all area are connected by buses and express trains, JR Rail Pass is always my first choice if it covered the places i visit. 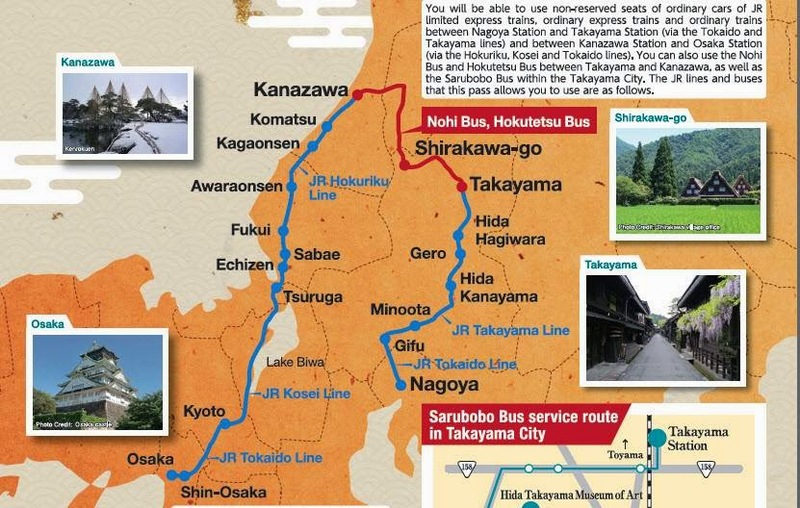 5 Day JR Takayama-Hokuriku Area Tourist Pass, it is a 5 consecutive days rail pass that covers unlimited rides on JR conventional lines and buses to Takayama, Shirakawa-go, and Kanazawa from Nagoya, Kyoto or Osaka. 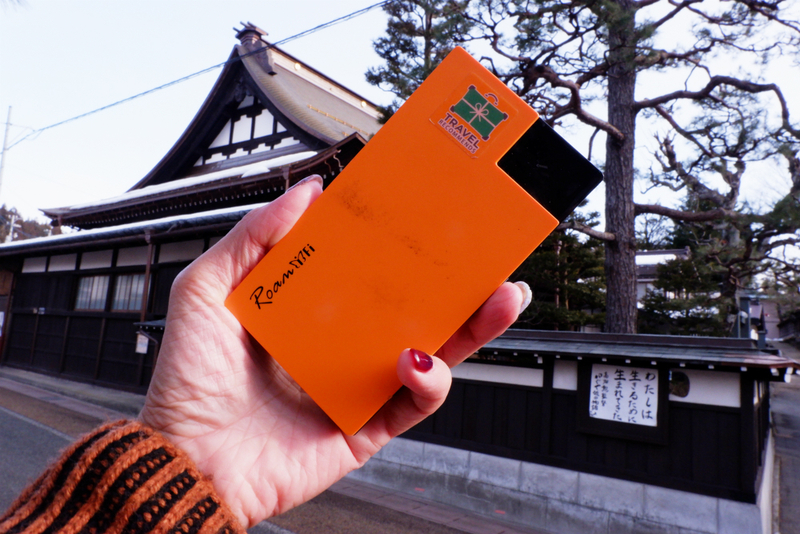 You can even also access other destinations with this pass, such as Gero Onsen, Kaga Onsen, and Fukui. A single Takayama-Hokuriku Tourist Pass is valid for all JR trains and 4 reserved rides on Wide View Hida and Thunderbird, this is definitely the easiest and fastest way to explore between Osaka and Nagoya! We bought this pass at Klook.com, because we can enjoy the convenient deliveries by post to our door step. Priced at RM513 per pass. Take note that you must go to their counter at airport to pre-book your travel time and reserve the seats. We took a ride on the limited express Hida. Unlike to Shinkansen, the Hida is a limited express service that runs from Nagoya Station to destinations in Gifu and Toyama prefectures. Of course it is slower than Shinkansen, and it make me feel spinning dizziness of vertigo. But this is the fastest way to our destination, took about 2 hour 30 minutes. If you are taking big luggage like me, please take note that limited amount of space on this trains to store big luggage, medium size luggage is just nice to fit in the luggage rack. Strongly recommended to pack lightly when traveling around Japan. Got feel or not? This is our AirBnB at Takayama! Thanks to the kind AirBnB owner, he allowed us to check in 3 hours earlier! 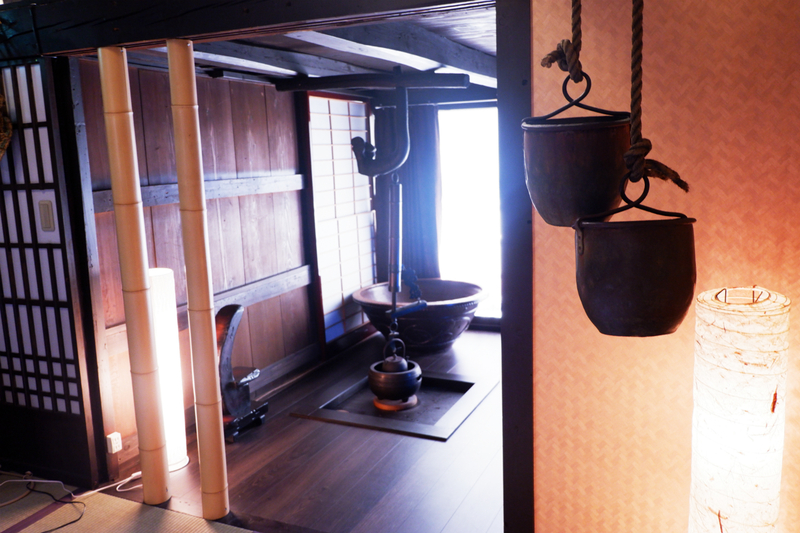 Our AirBnB is a Tawaraya (Traditional Town House) with 2 bedrooms, 9 beds, 1 bathroom and can fit in 8 guests. This is our bedroom at upper floor. Guess what? 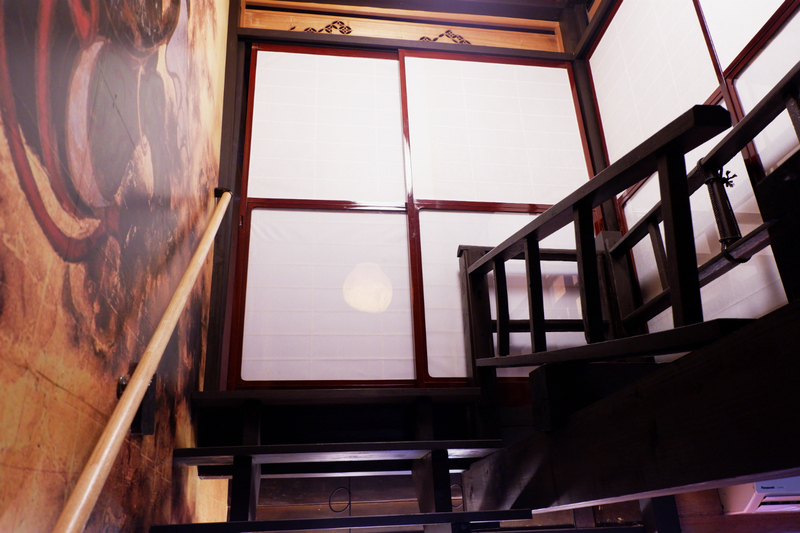 It is a really old house which built 100 years ago, it was just renovated and newly opened as a AirBnB with a very good location close to the center of Takayama such as Old town. We rent this at RM1458 for 2 nights, 4 persons. It is only RM182+ per pax for a night! So worthy la!!! Although there are 4-5 heaters in the house, but we still felt cold like hell in the first day because of freezing weather hit to our area. Hurray! It is snowing soon! 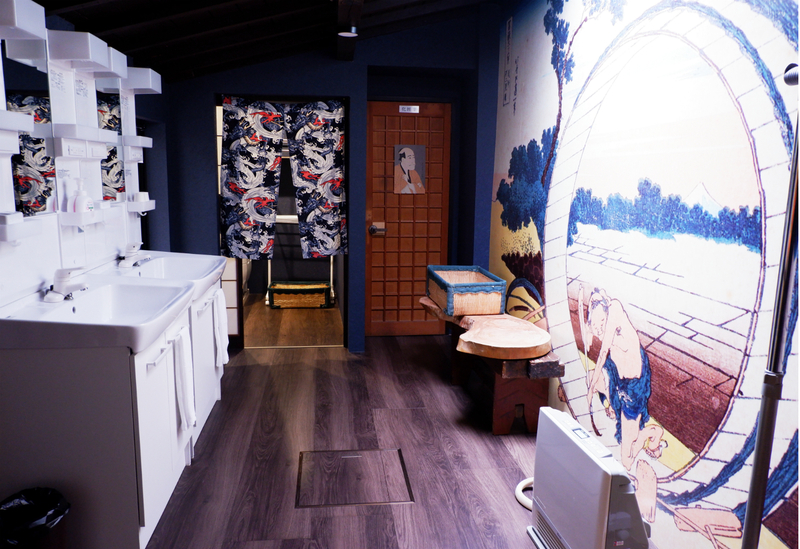 Apart from that, we all love our Takayama stay so much! 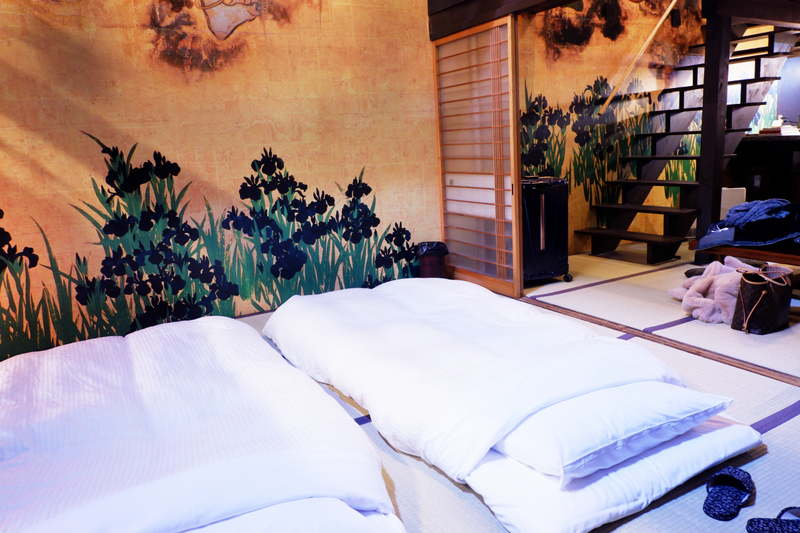 The house is decorated with the owner's art work inspired from Edo period, but comes with modern facilities. Remember register at AirBnB before book this house. After settled down, we walked to Sanmachi Suji, 10 minutes walking distance from our AirBnB. 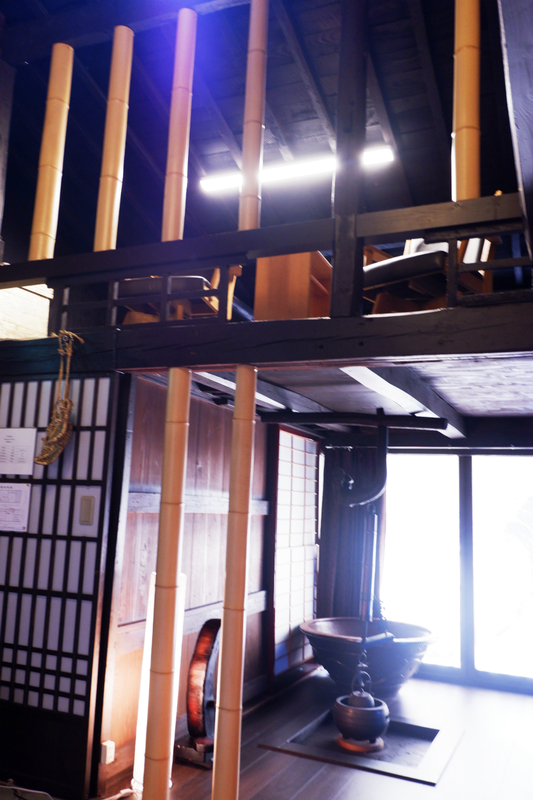 Sanmachi Suji is recognized as a Historically Significant Traditional Building Preservation Area. 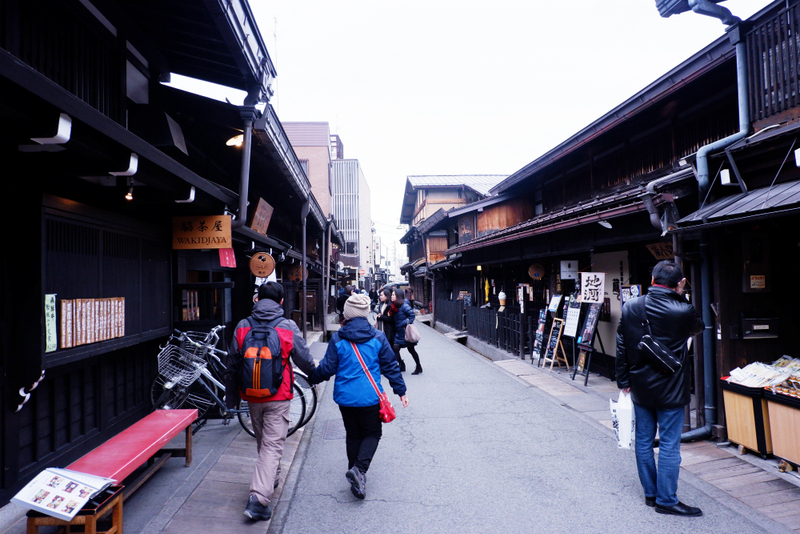 This three main streets at the heart of Takayama city are lined with iconic architecture old traditional houses and shop buildings. 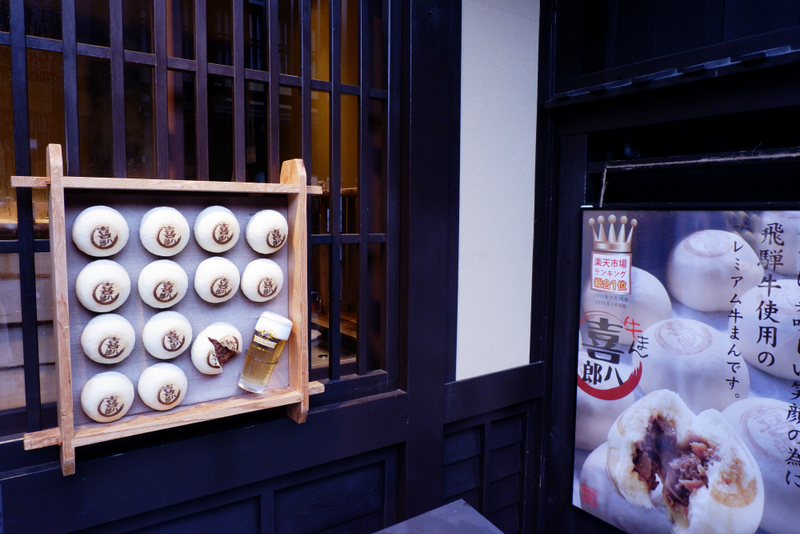 It is one of the most well preserved areas in Japan, which has earned it the title of “Little Kyoto”. 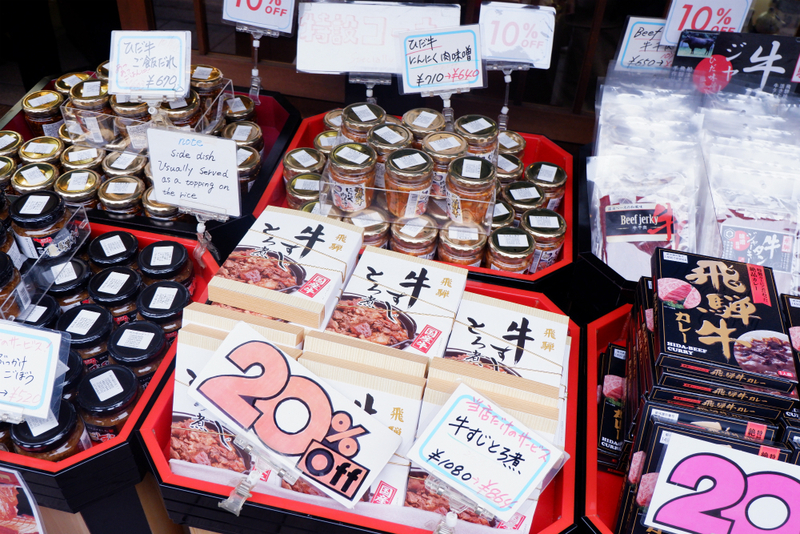 It's all about products make by Hida Beef. 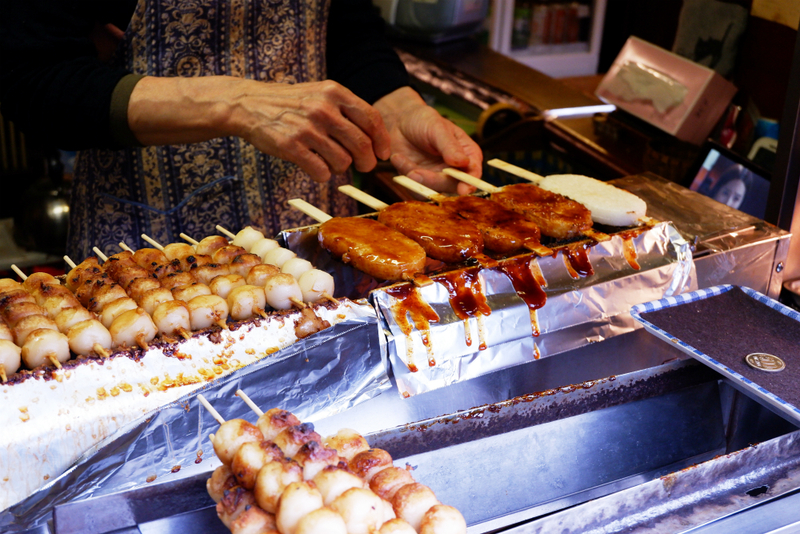 Gohei mochi is a rice cake that skewered and glazed with soy sauce and miso, then grilled. 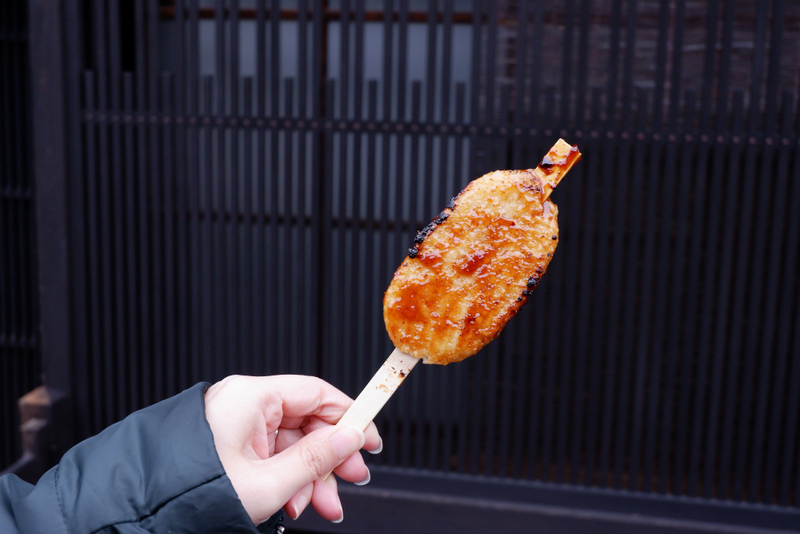 This pleasantly fragrant rice cake has such a delightful unique mouthfeel. Hida Beef, it is a must-eat and must-do at Gifu prefecture!!! In Japan, there are so many delicious varieties of wagyu, but this Hida beef from Takayama is considered one of the very best. The main differences of Hida beef from other wagyu is its muscle and marbling, Hida beef is much more distinctive juiciness. What's make it so special is you only can eat Hida beef at Gifu, it was not exported. But you can eat other different grades of Wagyu beef including Kobe at Malaysia. However, the Grade 5 Hida Beef steak is selling expensive at Takayama restaurant, about 7000 Yen for small piece 150g. So we decided head to a butchery which facing the main street, located nearby Maruaki restaurant, to purchase Grade 5 Hida Beef as our 2 nights dinner. 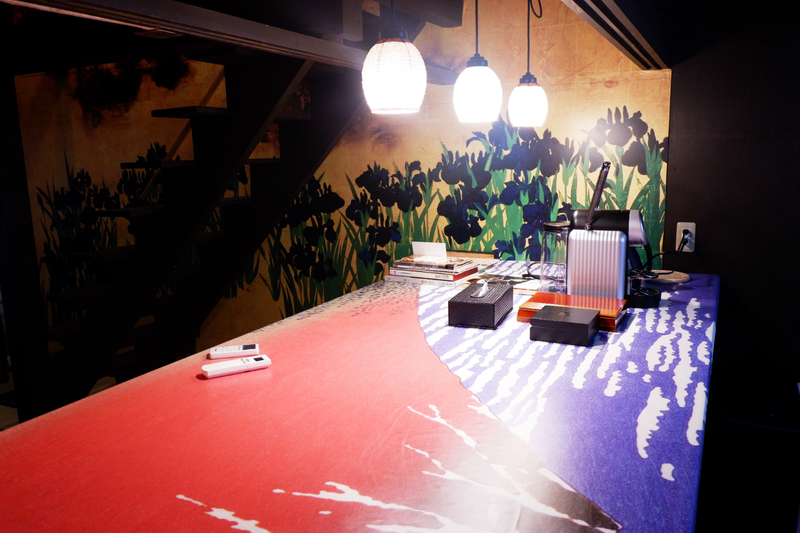 The pricing is much lower, can you believe that we spent 7000 Yen for 4 pieces Hida Beef with the beautiful marbling?! 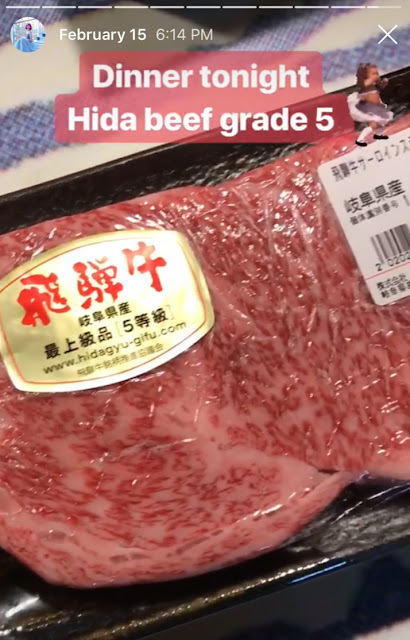 Well~ I'm so sorry that i didn't take a single photo of the Hida Beef! It was charms my tastebuds senseless, until i forgot to take photo before cook it. Oh My.... unexpectedly I write too long for this blog post, to avoid your brain is tired after reading my blog, I decided to blog about Day 3 - Day 6 in another post. LOL!